It has been a seriously long time since I have blogged. And, quite frankly I most likely won’t keep it up this time either. With the advent of social media, it’s much easier to stay connected with FaceTime and Facebook than by trying to write lengthy blogs. Alas, they have their limitations as well. For now, I want to document a new adventure that my family has embarked upon, albeit, some more willingly than others. This new adventure entails putting my husband on a diet. At 5 foot five and 130 pounds all wet, he doesn’t exactly need to lose weight. But weight is not the focus; health is. AIP stands for autoimmune protocol. Keith has autoimmune diseases. Psoriasis and psoriatic arthritis (PsA) are both autoimmune diseases, and he’s already had one major surgery as a result of the degeneration from the arthritis. It was shortly after marriage in 1999 that he was diagnosed with PsA. Less than 5 years later, he was on the operating table with a C1-C2 spinal fusion. Needless to say, our rheumatologist suggested we treat his arthritis very aggressively. In 2001, he went on his first DMARD, Enbrel. Since then, he has been on several, as well as a steroid injection (ouch), methotrexate, and a myriad of other drugs to combat symptoms. Enbrel worked the best for the PsA swelling, but did nothing for the psoriasis. Humira worked for the psoriasis but not the PsA. 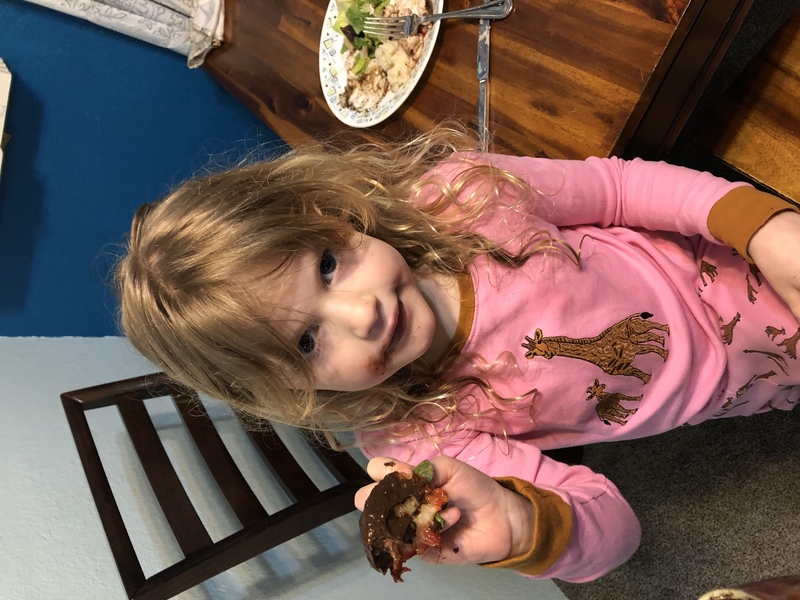 Methotrexate made him physically ill and, quite frankly, since we were pregnant when he was on it, one cranky ill person in the family was quite enough. All this to say, I’m a believer in modern medicine. But modern medicine is failing us. It has not produced any lasting changes, It has merely kept the wolves at bay. Keith is swelling more. His dose is increased. He’s on another medicine. It’s time for a change. Natural unrefined sugar: honey, maple syrup. I used to know how to cook. Most people who know me would say I’m a pretty good cook. People call me for advice on cooking. People ask for my recipes. On the AIP, my pantry staples are unknown, foreign substances. Why does baking powder contain grains (corn starch)? Why does chicken broth, for heavens sake, have sugar???? And beef broth. And veggie broth? I went sugar free 20 years ago. I read labels then, too. I don’t remember broth containing sugar! Everything packaged has added sugar. Lunch meat. Sugar. Sausage. Sugar. Bacon. Sugar. Corned beef. Sugar (and pepper). We are learning a whole host of new ingredients, techniques, and flavors. Some experiences are better than others. Don’t try to mash jicama. Just don’t. Trust me. However, jicama hash makes a great breakfast. Waffles stick to my waffle iron. (Healingautoimmune.com) But they tasted good. Sausage is surprisingly easy to make. And tasty. And at $2.49 for ground pork, cheaper than the additive laden alternatives. Arrowroot powder thickens quickly. Gelatin is … weird. Cauliflower rice does not taste like rice; but the texture is quite nice. Food is bland without pepper. Bump the herbs. A lot. Turmeric turns your fingers orange, and your clothes yellow, but thankfully washes easily. Kale chips make a great snack at work for my snacky husband – who complains of perpetual hunger on this diet. The kids miss grains. My first venture into coconut milk yogurt was a failure. Kombucha is brewing where my often emptied flour canister resided. Sauerkraut is fermenting as I type. And fresh vegetables and fruits are not cheap in January in Alaska. Sorry ’bout the need for the AIP diet. Kudos to you for supporting it, including venturing off into the weeds in search of solutions. As you’re aware, there are many treatments that haven’t found their way through clinical trials and thus the fluid and evolving medical canon. Our house has expanded our culinary repertoire as well. 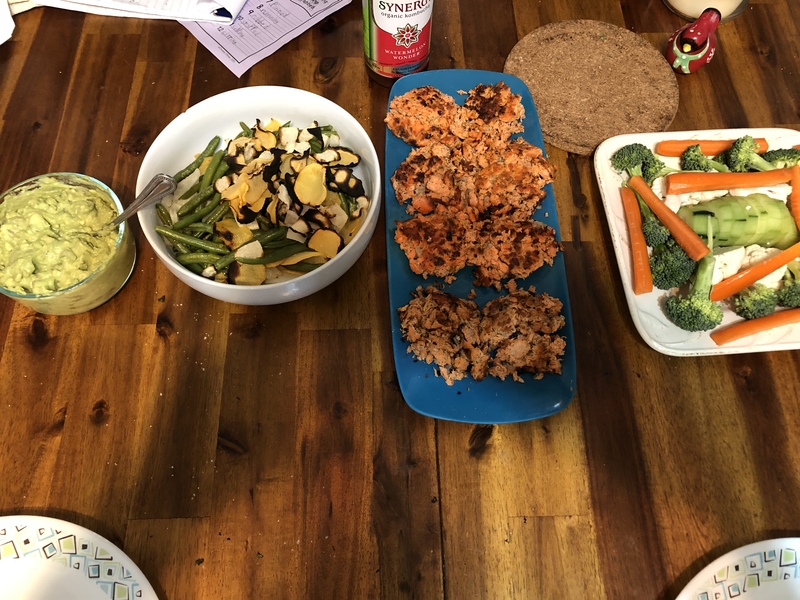 A while back a certain daughter decided to become vegetarian. I humored her with a tree-hugger cookbook with recipes for vegan planet-healthy eco-friendly foods. Like rice-paper bacon. As you can guess, that mostly excludes products of factory farms including meat, dairy, eggs, and gelatin. All the recipes feature human and planet friendly ingredients. An experience cook can read through and understand, “oh, X is the binder instead of eggs” and “Y is used in place of milk.” I found cooking with the tested recipes to be a helpful starting point for cooking with so many new-to-me ingredients: potato starch, tapioca starch, arrowroot powder, agar (gelatin substitute). 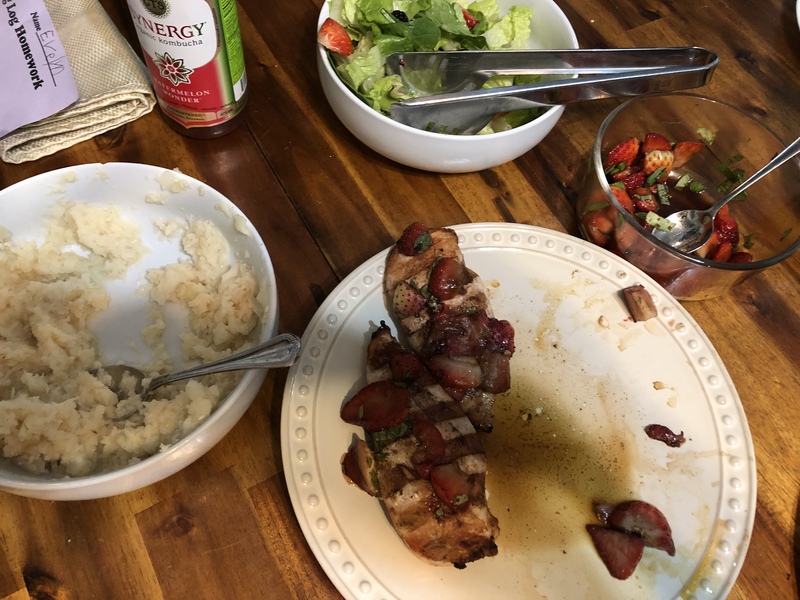 I have been using a lot of tested recipes as my starting point. It is truly like learning how to cook again. Experimenting with gelatin now as an egg replacer….